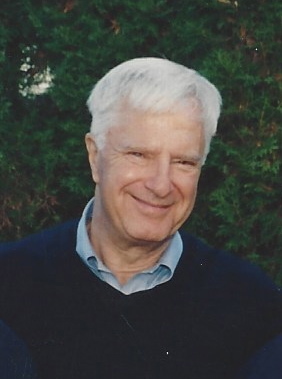 Thomas Pappas, a 42 year resident of Garden City, passed away at his home after a long illness on April 12, 2019. Tom was born on April 30, 1936 in New York City and raised in Astoria, Queens. After joining the New York City Police Department in 1958, Tom married the love of his life, Margaret McEvoy on July 4, 1958. Tom and Peg raised six children in Flushing before moving to Garden City in 1976. A man of great integrity, Tom spent a rewarding career with the NYPD, retiring with the rank of Sergeant in 1995. Tom enjoyed life's simple pleasures. He loved spending time with his family during their many vacations to Little Compton, RI. From teaching his children to swim in the Atlantic, to walking the beach and antiquing, Little Compton held a special place in his heart. Back home, Tom could fix anything and was especially proficient at woodworking. A true patriarch, he will be greatly missed by his wife, Peg, and his six children, Thomas, Kathy, Lisa, David, Michael and Jay. He will be lovingly remembered as "Pop Pop" by his fifteen grandchildren. He is also survived by his brothers, George and Jim, and many nieces and nephews. He was predeceased by his parents, Nicholas and Elizabeth Pappas and his sister, Stella Hill.